On September 30, I will celebrate my 7th year anniversary in Dubai. I still owe you a lot of stories about my life as an OFW or how I end up here in Dubai. Some people were asking me if how much is my monthly expenditures for them to have an idea on the cost of living in Dubai. Anyway, the currency we used in UAE is Dirhams (AED). Dirham came from the Latin word drachmae which means handful. It was introduced on the year 1973 to replace the Qatari and Dubai Riyal (for all other Emirates excluding Abu Dhabi as they were using Bahraini Dinar). Dirhams are currently pegged in US dollars. Life in Dubai is quite different now compared to when I first arrived here. Accommodation, food, transportation and DEWA service (electricity and water) were a lot cheaper way back 2006. Let us compare my expenses from year 2006 versus year 2013. I was living in Satwa and got hired after 4 days of being on a visit visa status. The amount mentioned below was what my sponsor had asked me to pay to her (Housing / DEWA / Food – more stories on this on my next post). Now lives in Karama on a bed space in a partition room with 2 more girls. The flat is being shared by 14 people. To give you a much clearer view, the bus before was at 1.50 AED (0.40 USD) compared to 2.30 AED (0.62 USD) today which will also depend on where you’re going. The bus / Metro have a zoning area. Taxi was also cheaper and we don’t have SALIK (toll fee). This rate is based on the rent usually being paid by us Filipinos. Even prices of basic commodities had increased. For example a 5 KG of jasmine rice in 2006 is at 14.50 AED (3.91 USD) but now it is at 32.00 AED (8.63 USD). That my friend is the reason why we love sale and promotions at some grocery stores. We have to stock up detergents, dishwashing liquid, fabric conditioner, rice, cooking oil, and soap to be able to save some money and to send some in the Philippines. As Dubai progresses the cost of living here also goes up which is I think directly proportional. But still, I love and will always be grateful to Dubai as it had helped me reach some of my dreams in life. While doing this post, I was also looking for some currency house who can give me the best rate for dollars and luckily I’ve found Travelex. I’ve used their currency converter online for the cost above and it was so easy to use. I can automatically see the conversion when I start typing the amount without clicking any button. Yay for that, I would definitely use this at work for because it is more convenient. Also, I found out that you can reserve your foreign currency needs on their website and just collect it in their branch. Can I hear another big YES!!! Another advantage for us especially for travelers. I will definitely use this service because I am traveling soon. This means that I don’t need to rush to any currency house to change my dirhams to dollars as I can just reserve it online and pick it up in Dubai Airport Terminal 1 Departure area without any hassle. I hope I had given you an idea of the cost of living in Dubai. 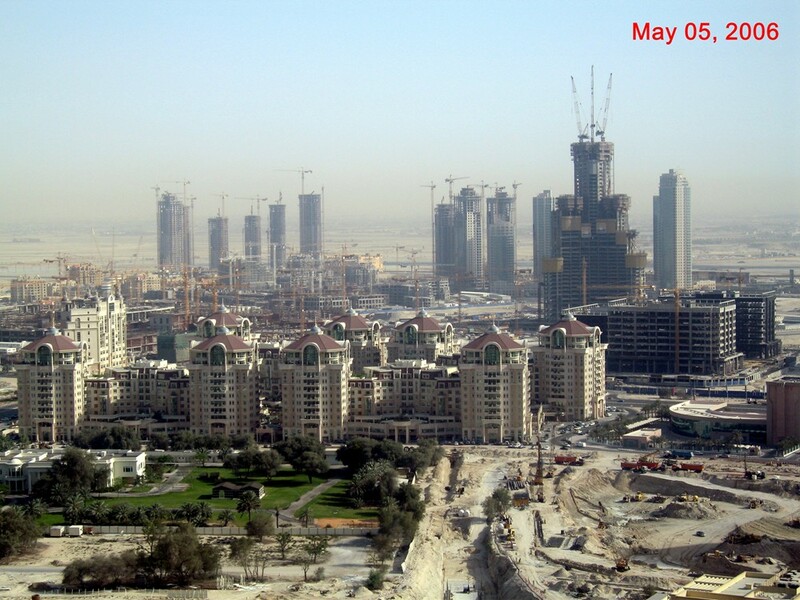 I was in Dubai in 2007! I should go back then... seems so much has happened since then! Well, I guess, it is expected to have an increase in the cost of living because everything is so advanced these days in Dubai! Yes it is. I guess you really need to find a good to survive Dubai. Thanks for the details. I wonder if I can survive living away from the Philippines. I don't think I'm the kind of person who can adapt to changes. Everywhere, prices increase. I guess, it's the natural order of things. Honestly I too never imagined that I'd be able to survive living away from my family but I did. It's just that the homesickness will always be a part of you. We were in Sharjah for a year looking for job. But we ended up living in the end after staying a year with my sister in law's family. The cost of living is too much for us, especially if the salary of my husband will only allow us to pay for the rent of a decent flat. I guess, UAE is not for us. I would never imagine myself being away from my family, but I did. Kudos to you, girl:) I noticed Dubai is getting nicer and better, and as followed everything went up from food, gasoline, etc. Thank you! :-) Dubai is always up with something new. Pamahal nga lang ng pamahal. Your friends are lucky to have their family here as for me it's still part of my dream to bring them here. For OFW's and most fellowmen out of our country, the value of their earning is great when brought and spent here in the Philippines but when they spend it on the same country they earned it, the value is not much. Housing is expensive there better save and have your house here for your retirement. i know a few former classmates who are now based in Dubai, too. super mahal ng mga expenses niyo noh? btw, the photos amazed me. so much has changed in Dubai! Cost of living has really increased a lot everywhere in these few years. no joke seeing how expensive it is to be living in dubai... it does take a lot of hard work to earn the amount to cover the expenses and still be able to save and send to family back in the philippines. i salute the ofws for this. Not bad! I also hear about Dubain being expensive, but I think if you know how to manage your finances, you'll do just fine. :) How long do you intend to stay there? Just like here in our country, price are more than double compared to 5 years ago. That is expensive! I guess it comes with the change- huge transformation. Filipinos have really become global citizens. Sorry, didn’t know how else to contact you! Firstly, great blog and keep up the good work! Thank you for the information, dear. 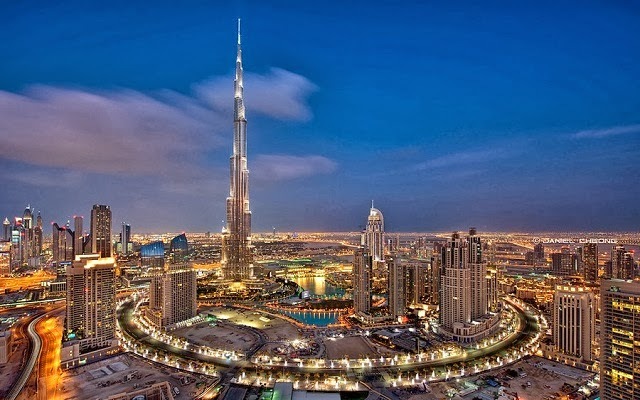 Will be in Dubai by February this year. Hope to have the same good experience as you! I am an OFW in UAE for 11 years now and I truly agree with your post. I used to live in Dubai for the first 6 years so I can relate well with your expenses. Hi Jojo! To be honest with you you'll survive but you really need to be a bit stingy. Let's try to analyze, your total take home pay will be 2,300.00 AED. Your food allowance will be enough for food and your other basic needs such as shampoo, conditioner etc etc. You will have to spend your money wisely. 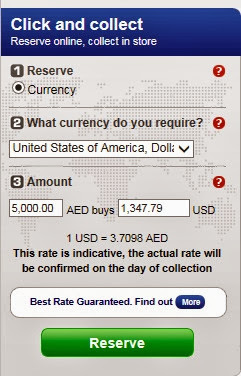 You can send the 1000 AED in the Philippines and keep the 800.00 AED as your allowance. Maybe no shopping for the first 3-6 months. No buying of techie stuff. Hi, I'm wondering how much is the average salary of an accountant working in Dubai. I'm a CPA with almost two years experience in government accounting. I'm really interested in working abroad but I don't know where to start or if I'd be able to survive. I really can't say how much is the average salary of an accountant because it varies. It usually depends on the company. For example our company accountant gets an estimated 14,000 AED per month plus the benefits (housing, ticket and insurance). A friend of mine is getting around 9,000 AED and some people that I know gets around 4,000 AED to 6,000 AED. Gulf experience also matters. Sapat na po ba yun?.. Naatakot po kasi ako baka mapunta lang sa wala ang pag abroad ko.. Anyway sa Al Quoz po yung location. Free transpo na daw po ako sa work.. I am so sorry for the late reply as I was caught up with a lot of work. First of all, i want to know if you're here on a visit visa? Are you trying to avoid a visa run? If not try to get a better offer. Sa panahon ngayun medyo maliit na ang 2900 AED. Sana man lang kahit 3K. Let's face it mahal na ang rent ng bahay ngayon. Even yung sa akin nagtaas. You also need to consider the company. Stable ba sya? May mga company na gagamitin ang visa mo then di ka bibigyan ng residence visa after. Ok naman na libre ang transpo at least less gastos ka. Kasama na ba sa 2900 AED ang housing? May insurance ka ba? Yung salary mo is medyo mababa to tell you honestly, pero pwede na sa start if gagamitin mo sya to have a GCC experience. Magkano ang matitira sa yo? Yun ang titipirin mo para sa next payday. Kailangan mo din maging matipid sa umpisa. I was offered a job for a five star hotel in the Palm Beach Jumeirah area. Initial offer is 2,000AED with housing, transpo, meals, air ticket, visa and medical included. Enough na kaya ang salary na to pursue Dubai? Here in the PH I'm enjoying the same salary kaso laki kasi ng kaltas ng tax at iba pang bilihin. Do you think this is a good offer for a start? Any tips for a first timer? I'm really blessed that I was hired as one of the accountants in Embassy FS. Hello Tondo Girl! What do you mean po "for GCC experience" san po ba sya magagamit? Big advantage ba to ? I'm currently working here in Saudi and planning for my next move in Dubai does this qualify me for that GCC experience? What are the advantages? Thank you very much. Hope you'll notice me.